Last Thursday night, I went with my good friend Hank Stroobants to Hunt’s Point, South Bronx for the Winter Assembly of the Bronx River Alliance. 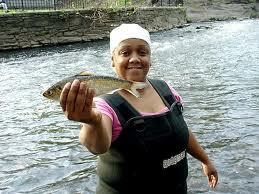 I should say the Mighty Bronx River Alliance. These are the people who continue the work begun nearly 40 years ago to reclaim the river that flows through–and connects–their neighborhoods. “Who’s in the room?” asked David Shuffler, Executive Director of Youth Ministries of Peace and Justice. Shout outs came from Soundview, West Farms, East Tremont and Belmont, Van Nest, Bronxdale, Williams Bridge and Wakefield. 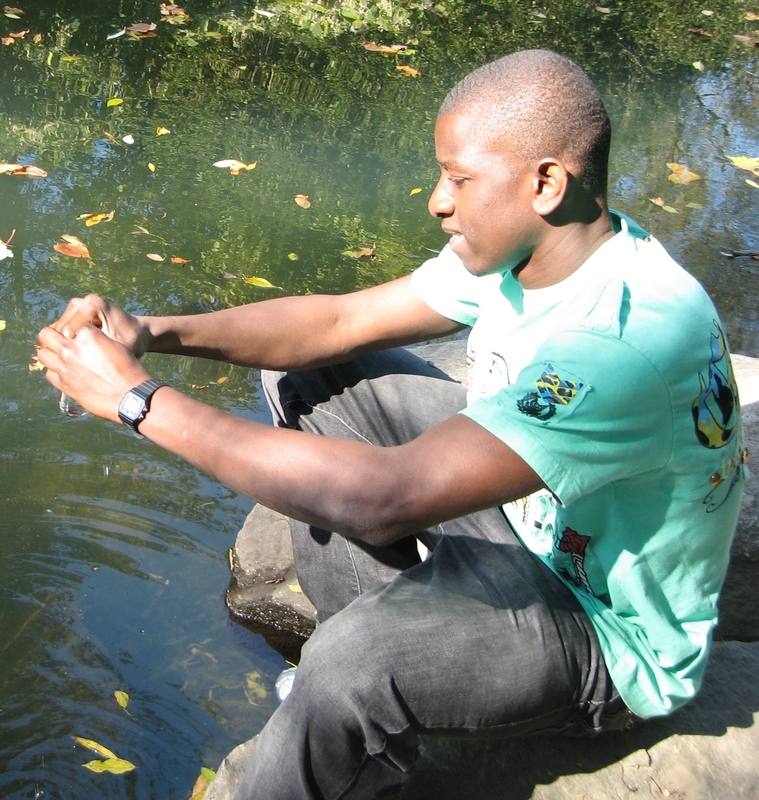 “We know, we know…water is life,” he said. David was one of the guys who, not so long ago, identified the location of sunk cars so the National Guard could pull them out. One by one, other activists stepped up to tell another piece of the story. NYC Parks workers and volunteers also pulled out a few tires (18,500 more or less) and trash (say, 30 tons). They planted Spartina grass to stabilize the riverbanks near the Sound. And re-imagined the blighted concrete plant as a sculpture park. You know the drill: countless hours of community meetings, public hearings and strategy sessions. Patience and persistence, over and over. Now, canoers are a common sight spring through autumn. Egrets are back; alewife herring were reintroduced in 2006. And in 2007, the first wild beaver in 200 years made a home near the East Tremont Bridge; now there are a pair. 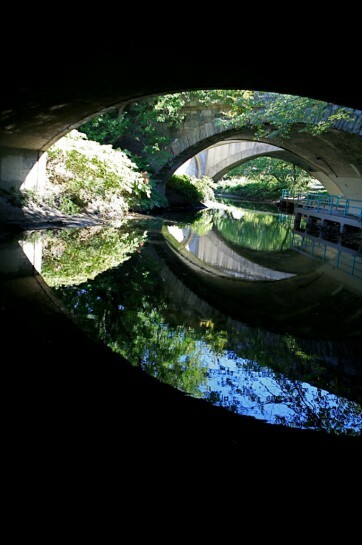 As the NY Daily News says: the Bronx River has been transformed from a grimy waterway to the jewel of the Bronx. The Alliance’s Winter Assembly was held at The Point, the Community Development organization in Hunt’s Point. It was a celebration. Their kitchen put out two kinds of chili. A bunch of their teenagers showed up–kids on the team that patrols the river year-round to monitor conditions. These kids are involved–they have nature in their lives. 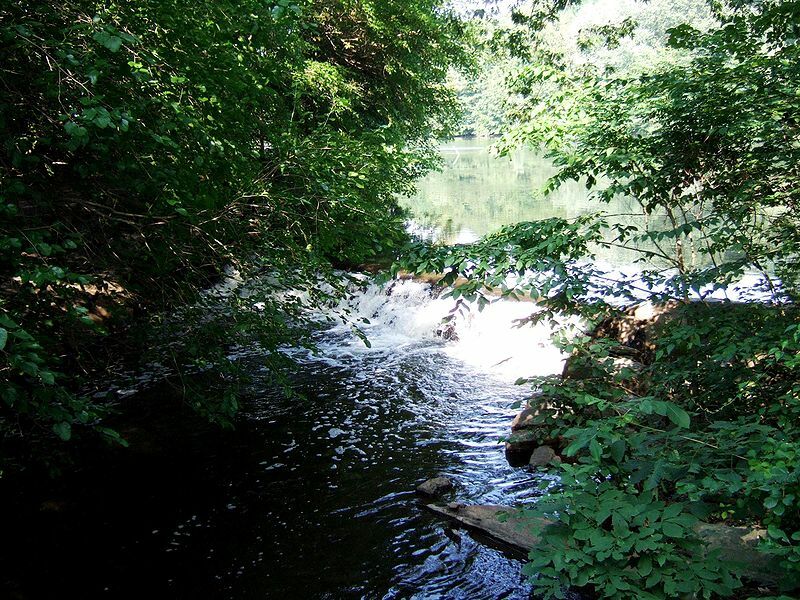 I grew up in Eastchester, a half-mile from the Bronx River, maybe 10 miles upstream from Hunt’s Point. A world apart, sure, but same river, same bloodline. My friends and I spent countless hours there. We wanted to swim, but the river was too shallow and smelled bad. We wanted to fish, and did: I was thrilled/horrified when I caught a monstrous bottom-feeder called a sucker. We fantasized the river as our Mississippi. T hrough the years I followed the improvements in the river from a distance. But it was Hank Stroobants who brought me back. He’s a local historian, community activist, and a great bringer-together-of-people. He grew up at 233rd Street but lives in Yonkers now. 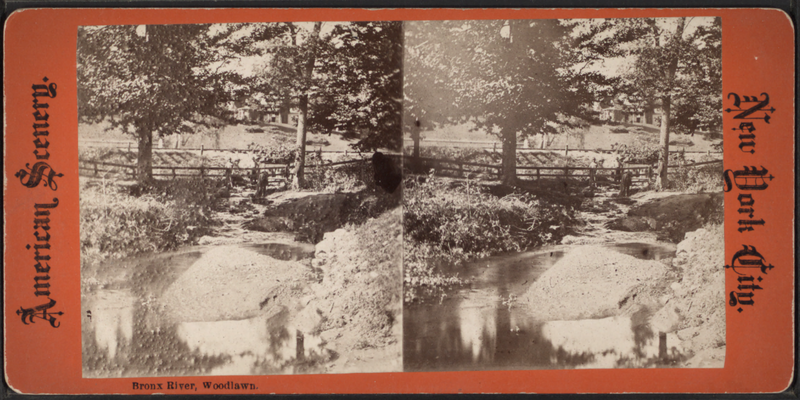 Through him, I adopted a small rectangle of orphaned land where Pondfield Road crosses the Bronx River in Bronxville. Made it a place of hosta, day lily and fern instead of weeds and litter. This is what I’ve come to learn: preserve the waterways at all costs. A tree grows in Brooklyn, but a river flows through the Bronx. 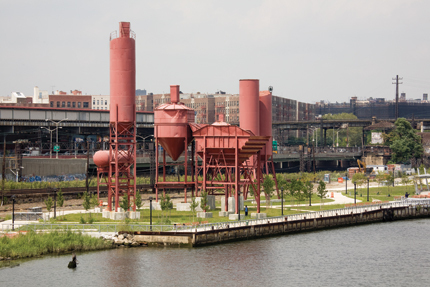 This entry was posted in Climate change + Culture, Deep Ecology, John Wackman blog and tagged Bronx, Bronx River, Bronx River Alliance, Bronx River Parkway, Concrete Plant Park Bronx, David Shuffler, Hunts Point Bronx, New York City, The Point, urban beavers. Bookmark the permalink. We included your link on our FB page. Everyone needs to know that restoration IS possible, and the results are worth the hard work and combined effort of a group of thoughtful, committed, citizens. 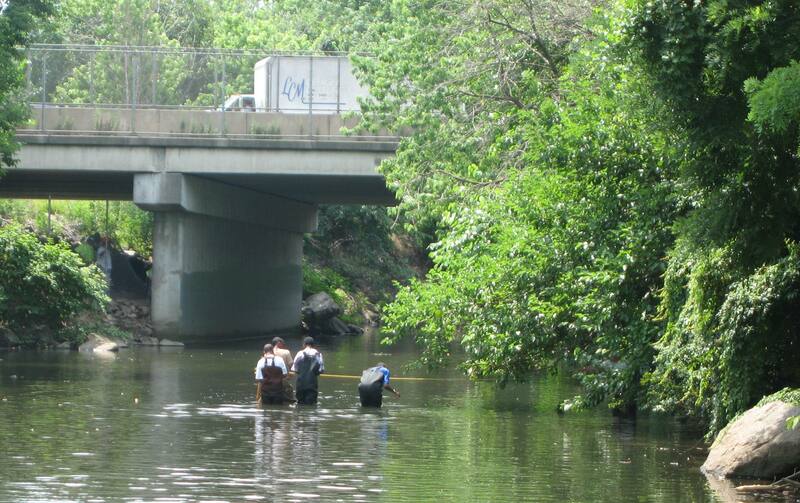 Our next challenge is the Anacostia River watershed in Washington, DC. The “pocket gardens” within a 3-block area will be beautiful this summer–a short walk from the Bronxville station–the town that Wall Street built. The history/stories may not be as dramatic as the Bronx, and it may be that the wealth gap makes the biggest impression. I’ll talk with Hank–he knows more than anybody. Another plan might be the Garth Woods piece–the “ancient forest” near Scarsdale station. Thanks for coming to the assembly and for your work along the river. Maybe we could plan a ramble to visit your spot? Incredible story. Thanks so much for sharing.